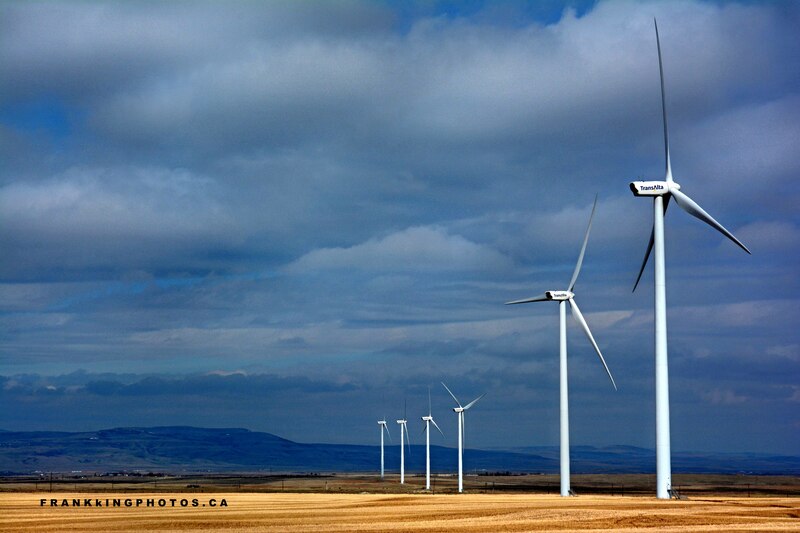 The glorious prairie landscapes around Pincher Creek are dotted with hundreds of wind turbines. This is a blustery area, with strong chinook winds often blowing east off the nearby Canadian Rocky Mountains. I like how the morning sun made the field glow against the dark sky and distant peaks.